Sarajevo Daily Avaz reports that relatives of the victims of the July 1995 Srebrenica genocide are travelling to the European Court of Human Rights, demanding that international institutions take responsibility for Europe’s worst massacre since World War II. The women have filed suit in the Netherlands, angry that Dutch peacekeepers failed to protect the eastern Bosnian enclave of Srebrenica during the 1992-95 war. Some 8,000 Bosniak men and boys were murdered in the massacre. The Dutch Supreme Court allowed part of the suit, but rejected one aspect relating to the UN — saying the world body is immune from prosecution. The women want that reversed. In other news, Turkish news agency Anatolica reported today that Serbian President Tomislav Nikolić has again denied the Srebrenica genocide. "Genocide did not take place in Srebrenica. This is about individual guilt of members of the Serb people. 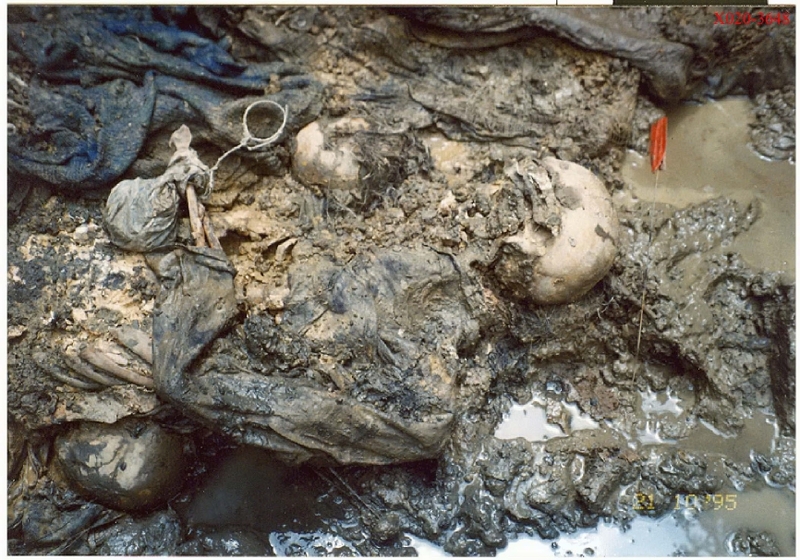 The Serbian parliament condemned this crime, but did not say it was genocide. No Serb recognizes that genocide took place in Srebrenica, and I am no different." Three years before the 1995 Srebrenica massacre, Serbs destroyed 296 Bosniak villages and killed at least 3,166 Bosniaks around Srebrenica, including many women, children and the elderly. In 1993, the UN described the situation in Srebrenica as a "slow-motion process of genocide." In July 1995, Serbs forcibly expelled 25,000 Bosniaks, brutally raped many women and girls, and systematically killed 8,000+ men and boys (DNA confirmed).